The French city of Arles may be obscure to the common imagination, but the historic town has long been a site that inspired many artists, from the likes of Vincent Van Gogh to Pablo Picasso. 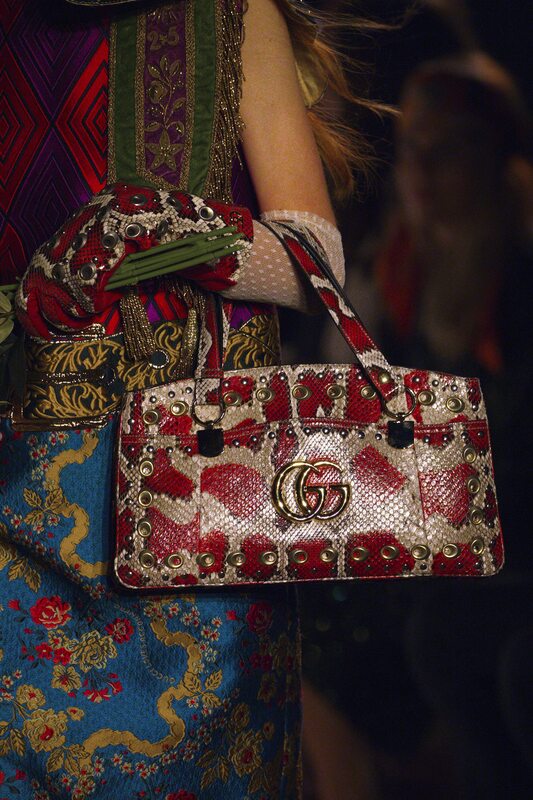 Adding to that canon is the genius of Alessandro Michele, who turned to Arles and its wealth of Roman monuments for inspiration when designing the Cruise 18/19 collection for Gucci. Arles is home to Alyscamps, a massive necropolis that was the burial grounds for the town over 1,500 years. Its medieval stone architecture recalls a gothic pathos that has found its way into the DNA of the dramatic Cruise collection, and also formed the setting for the runway show itself. This is the first time in history that Alyscamps has played host to an event of this scale. 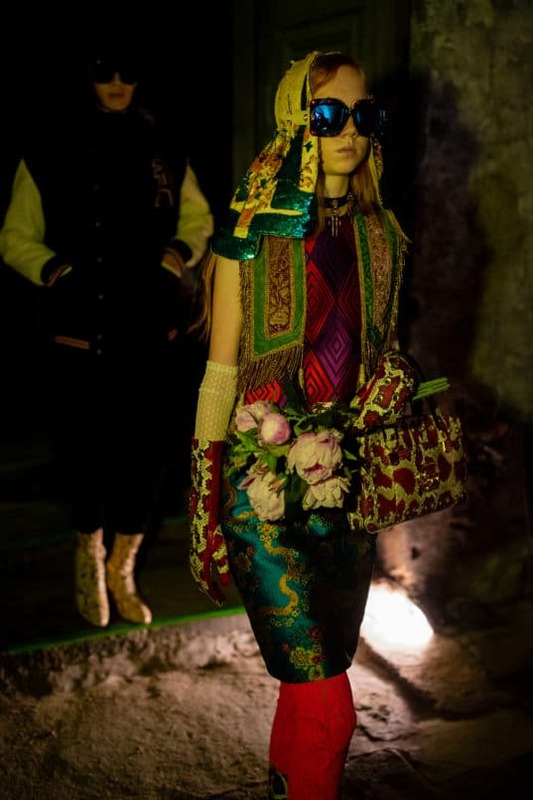 The 114 looks that walked the runway were suffused with the eclecticism we’ve come to expect from Gucci, but also with religious motifs and accessories that hailed to the heritage of the ground beneath the models’ feet. Out of all the pieces, one, in particular, made the most versatile statement — the Arli bag. 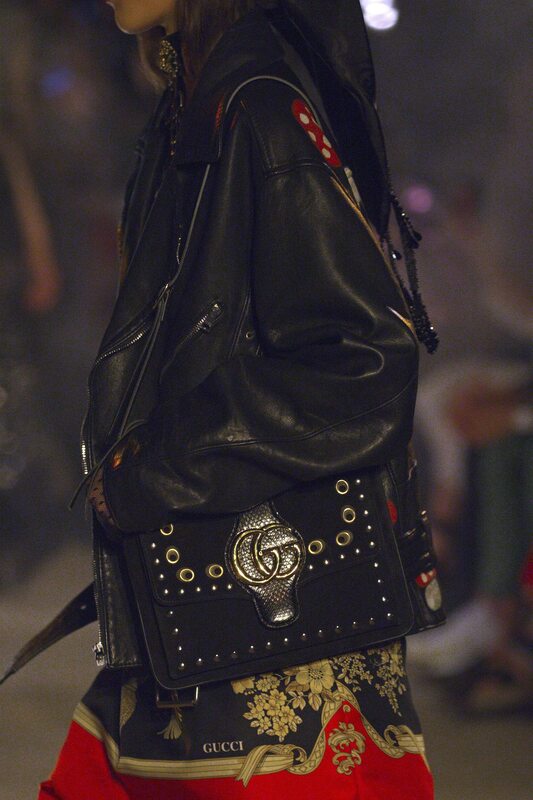 The Arli bag sets out to be Gucci’s next cult staple. Reworked from a similar silhouette from the house’s archives, the bag’s blocky form flaunts curved lines that give the accessory a 70s vibe with a contemporary touch thanks to the interlocking double-G logo on the clasp and the gold hardware. It is available in two different styles, a top-handle bag and a shoulder bag with an adjustable strap, and the latter comes in two sizes. The Gucci Cruise 18/19 campaign. The top-handle purse is sophisticated, but also extremely functional, with two zip compartments on the front panel, as well as two open pockets in the rear. Dressed in classic leather hues, this bag is one can take it from the office to an after-hours cocktail reception with ease. For those who prefer a purse that’s more compact, then the Arli shoulder bag is what you need. Its regular size is an effortless choice for all occasions, while the smaller rendition is ideal as a crossbody bag for the weekends or a night out. Michele also offers versions of the Arli that embodies the drama of the collection as a whole. Different skins, such as python, ostrich, or studded suede adds panache to the elegant design. Just like how France’s past and contemporary Italian fashion merged in Arles during Gucci’s Cruise 18/19 show, vintage and modern touches combine to form the Arli. If there is one bag you need to take home this Cruise season, let it be this.